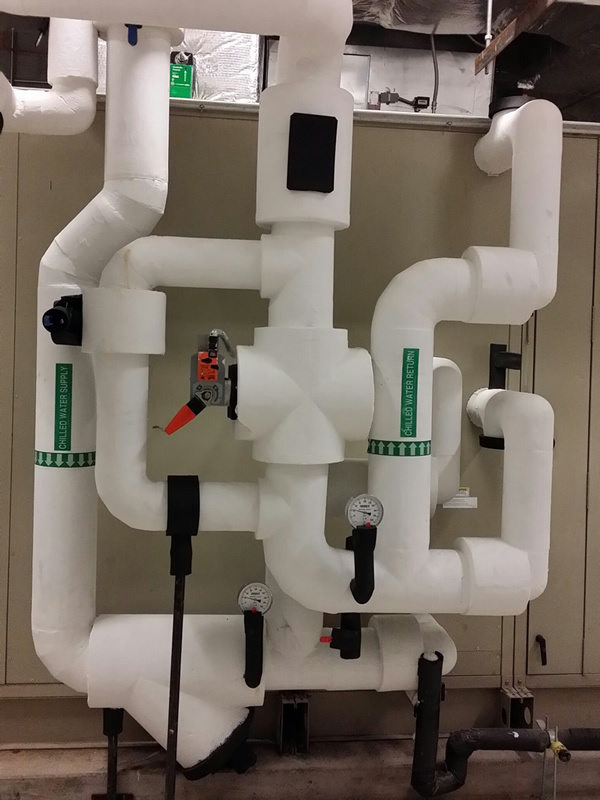 Need installation of a new residential or commercial cooling system, service or improvement? Airtech Air Conditioning is committed to being a step ahead of our competition. We accomplish this by creating lifelong relationships with our customers, co-workers, subcontractors and numerous vendors. We take pride in our attention to customer satisfaction, the quality of our work, our commitment to safety and a family oriented environment that provides for personal as well as professional growth. 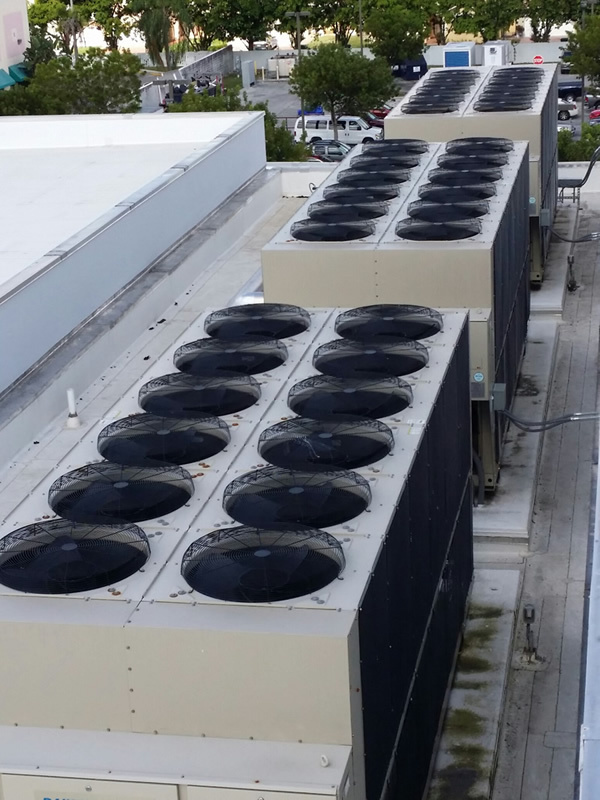 Airtech Air Conditioning, based in Fort Lauderdale, Florida, is a recognized leader in the Southern Florida central air conditioning & heating industry serving homeowners and businesses. Dedicated to providing ultimate heating, cooling and air conditioning solutions, Airtech Air Conditioning is a Florida a/c contractor invested in providing you with the very finest strategies and cooling systems at reasonable cost. At Airtech Air Conditioning, the customer always comes first. We’ve earned a premier reputation by tailoring systems specifically to each customer’s needs. Our team of licensed, factory trained heating and air conditioning experts study your project and expectations carefully, then design and install the perfect heating or cooling system for you. 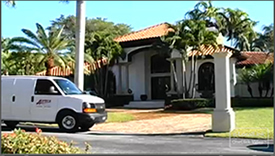 We also offer heating repairs, air conditioning repairs & furnace repairs throughout Southern Florida. We also offer financing for air conditioning unit replacements in Fort Lauderdale and Southern Florida. 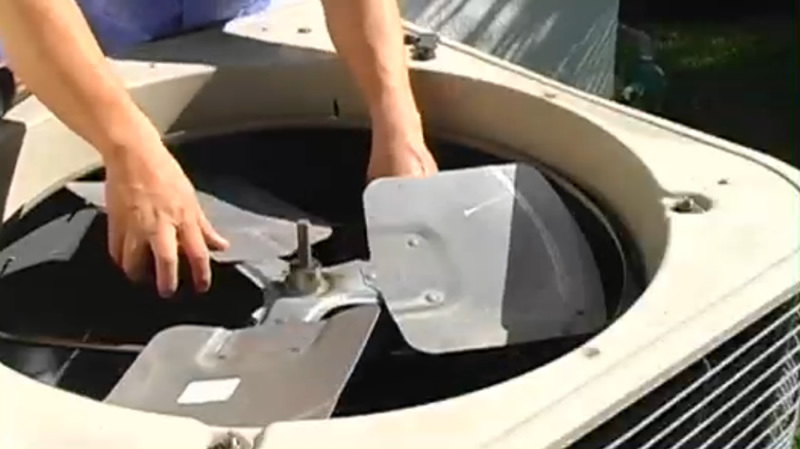 Airtech Air Conditioning has been servicing the Bonaventure Town Center Club since 1991. The Town Center Club is the recreational community center for the Bonaventure community. It consists of a 70,000 sq. ft. building which includes a full Gym, card rooms, a roller skating rink, a beautiful lobby and a magnificent 10,000 sq. ft. live theater. I can honestly say that it has been a pleasure working with Airtech for all of our air conditioning needs. When a problem arises, it is Airtech that we count on resolving it. Town Center Club Authority, Inc. This letter confirms our satisfaction in working with Airtech Air Conditioning for over a decade. Since this vendor has all the important qualifications that we look for in a company, they have remained our sole service provider for our building's air conditioning needs. The technicians are knowledgeable and responsible professionals. They properly assess and address any and all A/C problems the building may have. I'm sure that the preventative maintenance given to our equipment has saved our program lots of money in unnecessary repairs in the long run. Legal Services of Greater Fort Lauderdale, Inc. I have worked with your firm in various capacities over the last 15 years. First as a construction superintendent, then as a property manager and ultimately, as the owner of my own company. The breadth of your company's services provided, along with the professional manner in which they are delivered are of the highest quality. I have used your company on new construction, tenant and capital improvement projects, routine maintenance contracts and emergency repairs with project fees ranging from free, to just under the million dollar mark. We would like to thank you for your participation at our first Green Expo. Your help has been invaluable to make this event a success. We realize that you have taken time out of your busy schedule and we sincerely appreciate it. This letter is in regard to Airtech Air Conditioning, Inc. and the exceptioional job performance they have provided Flagler Real Estate Services, LLC at the Doral Center, Airtech has been our HVAC vendor for the last six (6) years and has been proven their knowledge, expertise and reliability on a daily basis. I would strongly recommend Airtech Air Conditioning, Inc. to any company due to all of their fine qualities and outstanding customer service. Air conditioning is the removal of heat from indoor air for thermal comfort. In another sense, the term can refer to any form of cooling, heating, ventilation, or disinfection that modifies the condition of air. An air conditioner (often referred to as AC or air con.) is an appliance, system, or machine designed to stabilize the air temperature and humidity within an area (used for cooling as well as heating depending on the air properties at a given time), typically using a refrigeration cycle but sometimes using evaporation, commonly for comfort cooling in buildings and motor vehicles. The 2nd century Chinese inventor Ding Huane of the Han Dynasty invented a rotary fan for air conditioning, with seven wheels 3 m (9.8 ft) in diameter and manually powered. In 747, Emperor Xuanzong of the Tang Dynasty (618–907) had the Cool Hall (Liang Tian) built in the imperial palace, which the Tang Yulin describes as having water-powered fan wheels for air conditioning as well as rising jet streams of water from fountains. During the subsequent Song Dynasty (960–1279), written sources mentioned the air conditioning rotary fan as even more widely used. In 1820, British scientist and inventor Michael Faraday discovered that compressing and liquefying ammonia could chill air when the liquefied ammonia was allowed to evaporate. In 1842, Florida physician John Gorrie used compressor technology to create ice, which he used to cool air for his patients in his hospital in Apalachicola, Florida. He hoped eventually to use his ice-making machine to regulate the temperature of buildings. He even envisioned centralized air conditioning that could cool entire cities. Though his prototype leaked and performed irregularly, Gorrie was granted a patent in 1851 for his ice-making machine. His hopes for its success vanished soon afterwards when his chief financial backer died; Gorrie did not get the money he needed to develop the machine. According to his biographer, Vivian M. Sherlock, he blamed the "Ice King", Frederic Tudor, for his failure, suspecting that Tudor had launched a smear campaign against his invention. Dr. Gorrie died impoverished in 1855 and the idea of air conditioning faded away for 50 years. Designed to improve manufacturing process control in a printing plant, Carrier's invention controlled not only temperature but also humidity. Carrier used his knowledge of the heating of objects with steam and reversed the process. Instead of sending air through hot coils, he sent it through cold coils (ones filled with cold water). The air blowing over the cold coils cooled the air, and one could thereby control the amount of moisture the colder air could hold. In turn, the humidity in the room could be controlled. The low heat and humidity were to help maintain consistent paper dimensions and ink alignment. Later, Carrier's technology was applied to increase productivity in the workplace, and The Carrier Air Conditioning Company of America was formed to meet rising demand. Over time, air conditioning came to be used to improve comfort in homes and automobiles as well. Residential sales expanded dramatically in the 1950s. The first air conditioners and refrigerators employed toxic or flammable gases, such as ammonia, methyl chloride, and propane that could result in fatal accidents when they leaked. Thomas Midgley, Jr. created the first chlorofluorocarbon gas, Freon, in 1928. 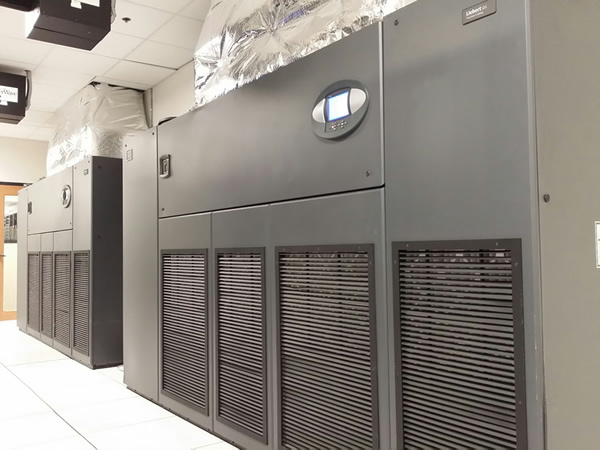 Innovation in air conditioning technologies continues, with much recent emphasis placed on energy efficiency, and on improving indoor air quality. Reducing climate change impact is an important area of innovation, because in addition to greenhouse gas emissions associated with energy use, CFCs, HCFCs and HFCs are, themselves, potent greenhouse gases when leaked to the atmosphere. For example, R-22 (also known as HCFC-22) has a global warming potential about 1,800 times higher than CO2. As an alternative to conventional refrigerants, natural alternatives like CO2 (R-744) have been proposed. Air conditioning makes deep plan buildings feasible, for otherwise they'd have to be built narrower or with light wells so that inner spaces receive sufficient outdoor air via natural ventilation. Air conditioning also allows buildings to be taller since wind speed increases significantly with altitude making natural ventilation impractical for very tall buildings. Comfort applications for various building types are quite different and may be categorized as Low-Rise Residential buildings, including single family houses, duplexes, and small apartment buildings, High-Rise Residential buildings, such as tall dormitories and apartment blocks, Commercial buildings, which are built for commerce, including offices, malls, shopping centers, restaurants, etc., Institutional buildings, which includes hospitals, governmental, academic, and so on, Industrial spaces where thermal comfort of workers is desired and Sports Stadiums - recently, stadiums have been built with air conditioning to allow competition to take place in summer, such as University of Phoenix Stadium and in Qatar for the 2022 FIFA World Cup. In addition to buildings, air conditioning can be used for many types of transportation — motor-cars and other land vehicles, trains, ships, aircraft, and spacecraft. Refrigeration air conditioning equipment usually reduces the humidity of the air processed by the system. The relatively cold (below the dew point) evaporator coil condenses water vapor from the processed air, (much like an ice-cold drink will condense water on the outside of a glass), sending the water to a drain and removing water vapor from the cooled space and lowering the relative humidity. Since humans perspire to provide natural cooling by the evaporation of perspiration from the skin, drier air (up to a point) improves the comfort provided. The comfort air conditioner is designed to create a 40% to 60% relative humidity in the occupied space. In food retailing establishments, large open chiller cabinets act as highly effective air dehumidifying units. Unlike a regular air conditioner, a dehumidifier will actually heat a room just as an electric heater that draws the same amount of power (watts) as the dehumidifier. A regular air conditioner transfers energy out of the room by means of the condenser coil, which is outside the room (outdoors). This is a thermodynamic system where the room serves as the system and energy is transferred out of the system. Conversely with a dehumidifier, no energy is transferred out of the thermodynamic system (room) because the air conditioning unit (dehumidifier) is entirely inside the room. Therefore all of the power consumed by the dehumidifier is energy that is input into the thermodynamic system (the room), and remains in the room (as heat). In addition, if the condensed water has been removed from the room, the amount of heat needed to boil that water has been added to the room. This is the inverse of adding water to the room with an evaporative cooler. The engineering of physical and thermodynamic properties of gas-vapor mixtures is named Psychrometrics. Air-conditioning system can promote the growth and spread of microorganisms, such as Legionella pneumophila, the infectious agent responsible for Legionnaires' disease, or hemophilic actinomycetes, but as long as the air conditioner is kept clean these health hazards can be avoided. Conversely, air conditioning, including filtration, humidification, cooling, disinfection, etc., can be used to provide a clean, safe, hypoallergenic atmosphere in hospital operating rooms and other environments where an appropriate atmosphere is critical to patient safety and well-being. Air conditioning can have a positive effect on sufferers of allergies and asthma. In a thermodynamically closed system, any energy input into the system that is being maintained at a set temperature (which is a standard mode of operation for modern air conditioners) requires that the energy removal rate from the air conditioner increases. This increase has the effect that for each unit of energy input into the system (say to power a light bulb in the closed system) this requires the air conditioner to remove that energy. In order to do that the air conditioner must increase its consumption by the inverse of its efficiency times the input of energy. As an example, presume that inside the closed system a 100 watt light bulb is activated, and the air conditioner has an efficiency of 200%. The air conditioner's energy consumption will increase by 50 W to compensate for this, thus making the 100 W lightbulb use a total of 150 W of energy. Ducts are used in heating, ventilation, and air conditioning (HVAC) to deliver and remove air. These needed airflows which include supply air, return air, and exhaust air. Ducts also deliver, most commonly as part of the supply air, ventilation air. As such, air ducts are one method of ensuring acceptable indoor air quality as well as thermal comfort. Ducts can be made out of galvanized mild steel which is the standard and most common material used in fabricating ductwork. The ductwork construction starts with the tracing of the duct outline onto the aluminum reinsulated panel, then the parts are typically cut at 45 degree, bent if required to obtain the different fittings (i.e. elbows, tapers) and finally assembled with glue. Aluminum tape is applied to all seams where the external surface of the aluminum foil has been cut. A variety of flanges are available to suit various installation requirements. All internal joints are sealed with sealant. A rigid phenolic insulation ductwork system is available and complies with the UL 181 standard for class 1 air ductwork. Both polyurethane foam panels and phenolic foam panels are then coated with aluminum sheets on both sides, with outside aluminum thicknesses that can vary from 80 micrometers’ for indoor use to 200 micrometers for external use or high air pressure in order to guarantee the high mechanical characteristics of the duct, or then coated with aluminum sheets on inside, and coated with 200 micrometers sheet metal or pre-painted sheet metal on outside. Flexible ducts, known as flex, have a variety of configurations, but for HVAC applications, they are typically flexible plastic over a metal wire coil to make round, flexible duct. In the United States, the insulation is usually glass wool, but other markets such as Australia, use both polyester fiber and glass wool for thermal insulation. A protective layer surrounds the insulation, and is usually composed of polyethylene or metalized PET. Flexible duct is very convenient for attaching supply air outlets to the rigid ductwork. However, the pressure loss through flex is higher than for most other types of ducts. As such, designers and installers attempt to keep their installed lengths (runs) short, e.g., less than 15 feet or so, and to minimize turns. Kinks in flex must be avoided. Some flexible duct markets prefer to avoid using flexible duct on the return air portions of HVAC systems, however flexible duct can tolerate moderate negative pressures - the UL181 test requires a negative pressure of 200 Pa. Fabric ducting, also known as air socks, duct socks or textile ducts, are designed for even air distribution throughout the entire length. Usually made of special polyester material, fabric ducts can provide air to a space more effectively than a conventional exposed duct system. "Fabric duct", depending on the manufacturer, may be available in air permeable (porous) or non-porous fabric. 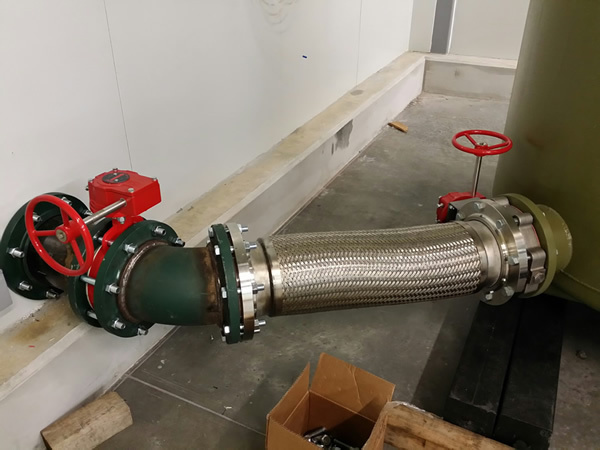 As a benchmark, a designer may make the determination of which fabric is more applicable by asking the question if the application would require insulated metal duct. If metal duct would be insulated in a given application or installation, air permeable fabric would be recommended as it will not commonly create condensation on its surface and can therefore be used where air is to be supplied below the dew point. Again; depending on the material and manufacturer, material that eliminates moisture may also be healthier and may also be provided with an active anti-microbial agent to inhibit bacteria growth. Porous material also tends to require less maintenance as it repeals dust and other airborne contaminants. Studies by the EPA and the Canadian Mortgage and Housing Corporation (CMHC) in the 1990s has lead CMHC to conclude that "duct cleaning will not usually change the quality of the air you breathe, nor will it significantly affect airflows or heating costs". Duct Sealing is the sealing of leaks in air ducts in order to reduce air leakage, optimize efficiency, and control entry of pollutants into the home or building. Air pressure combined with air duct leakage can lead to a loss of energy in a HVAC system and duct sealing solves issues of energy loss in the system. Duct tape is not used for sealing ducts. Building codes call for special fire-resistant tapes, often with foil backings and long lasting adhesives. I was having problems with my dryer and the ducts. I was surfing the web to see if I could find someone that could fix the problem. I was using this search engine and it got me in contact with a person that was very reliable. He showed up on time and was done in a short amount of time. I am very pleased with the work. I was having my house built and it was time to have the air conditioner put in but I had no idea what to buy or how it would get done. I can not be in this house with no a/c. I was surfing the web and came across this company that walked me thru the steps of what they were going to do and the we able to add my dryer duct as well. Gracias! I was having problems breathing and thought my air ducts needed to be clean. I used this site to find a company that would clean all of my ducts for a good cost. The company I found was great and I am no longer having problems breathing. The weather here has been brutal and cold and I went to turn on the heat and got a strange noise and smell. I searched the web to see if someone would come out that day and man I did. I was impressed with the service and they explained to me everything that was wrong and fixed it for a good cost. I was on a maintenance contract to keep my air conditioner/heater in top working order. The company that I was using close and I had to shop for a new one. I found this search engine and it got me to a company that was not only good but most of the people I dealt with were there. That gave me a piece of mind. I own a small apartment building in Fort Lauderdale and I wanted to redo the laundry room because it had been years since it had been done. I crawled into the ceiling to check the duct work and it was filthy and damaged. I was upset to let it get that bad but I did not know so I called a friend that told me about an site that would get me to someone that could help me and boy did it. These guys were professional and cleaned and repaired the duct with minimal damage and dirt. I would use them in my own home and recommend them to friends. I work for as a maintenance man building that was having really bad problems with a smell that was going thru the air ducts. A lot of people were complaining about they were sick and had headaches. I searched for a company that would go into the ducts to see what the problem was and clean it. The company that my boss authorized and they got the job done in good time. My husband and I decided to get central air in the new house and we were afraid of what we were in for. I did the homework and used this search site to find a company that worked with our budget to get the most for it. They did not just install the unit but did the duct work.